There's a buzz in the air — and it's deadly. 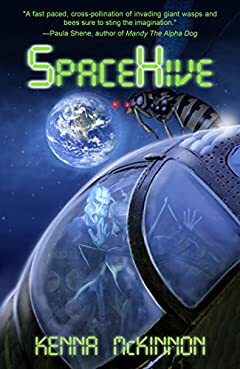 After getting kidnapped by giant alien bees, twelve-year-old Jason Anderson arrives to a spaceship called SpaceHive. There, he learns of a horrifying plot to annihilate Earth's human population so that the extra-terrestrial bees can migrate to a new world. As a swarm of spaceships make a beeline toward Earth, Jason must convince three friendly worker bees to help him escape his space prison and find other humans to help stop the invasion. But General Vard, wasp commander of the Black Watch, has other plans. Can Jason unite the nations of Earth in their common fight to destroy the alien invaders, or will Earth lose to the sting of conspiracy and a worldwide massacre?